We have just released our sixth poster that is appropriate for adorning the walls of offices, bedrooms, or schools. 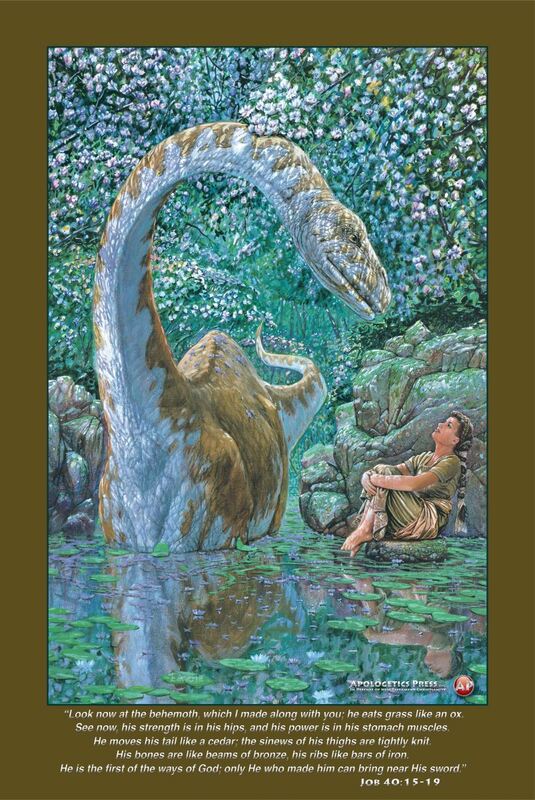 This visually evocative painting is based on Job 40, depicting a woman enjoying the presence of a friendly sauropod. Past posters include: “Day 40,” “Deers in the Forest,” “Runaway Ben,” “Prelude to the Fair,” and “Down,” each accompanied by an appropriate passage of Scripture. Please give serious and thoughtful consideration to gracing the lives of those in your acquaintance with these spiritually enriching resources.